This book is a Japanese female bmx rider and also a photographer Naoki's first photobook project ”Naokingragh”. 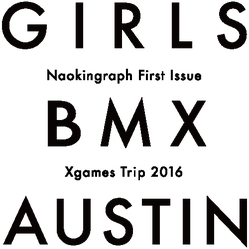 In June 2016,the Xgames in Austin was held under the scorching hot sun. 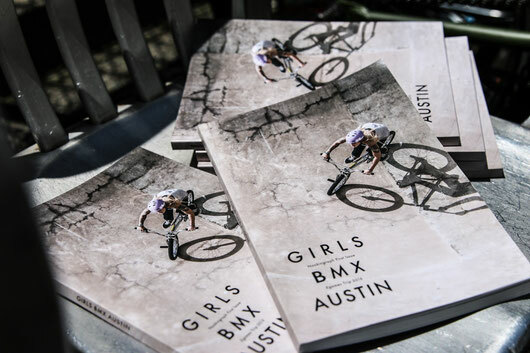 132 full color pages of riding photographs by 9 crazy, ”KAWAII”,and the coolest girl bmx riders all around the world who were invited to the Xgames.An astonishing time at the Xgames and they spent fun days in Austin. This Naokingragh will makes you want to fly out to the USA with your bmx bike.